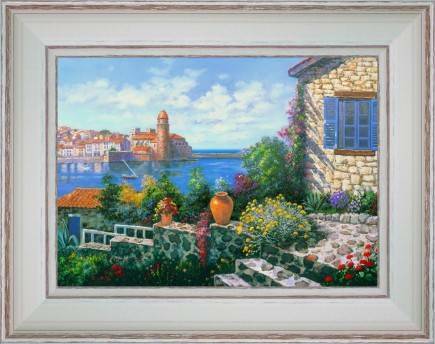 A flowerly small garden with a view of the lighthouse of Collioure. 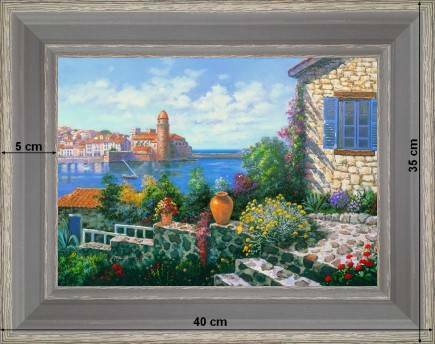 Contrast of colors and idyllic atmosphere. "The privile to have a reisdence on the sea with fantastic view over one of the sites the most appreciated by the Côte Vermeille and its transformed lighthouse to limp there. Typical !!"